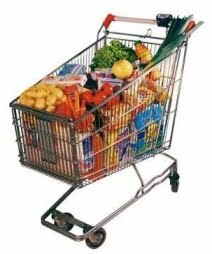 For changes to be made in the body, changes must be made in the trolley! Life is just a series of choices and we make so many unhealthy choices in life! We should begin to think about ‘what to eliminate from our diets’, more than what we should add to them. There are many dangerous and toxic hindrances to self healing. Your Body Needs Salt – Choose Unprocessed Salt! 'Considering the many biological functions facilitated by salt, it would be a mistake to eliminate it entirely. However, it’s important to make sure you’re consuming the right kind of salt – the kind of salt your body can actually process and use. Some PR job to convince the world we need it, eh? Yet ‘salt’ is essential for the body’s systems. Farmers know if they don’t put out the salt blocks for their cattle, they die. This is real salt as Nature intended, not the truncated, worse-than-useless mess made of it in the refining process." Sometime ago my husband became aware of a very annoying, agitating condition he would encounter at night, as he was falling off to sleep, known as Restless Leg Syndrome ( RLS). After consulting the doctor in regards to this matter, he came home no better off, as he was told the cause of RLS was not really known, and incurable. When we went in search for answers the culprit, which then became obviously apparent, was none other than Sodium Chloride- common old salt. Whether you believe it or not, it is one of the most harmful substances we can feed the body! Sugar robs the body of Vitamins B & C, zinc, chromium & calcium. As the B vitamins are essential for the health of your nervous system, a deficiency results in anxiety, irritability, fatigue, nervousness, insomnia, dizziness, slow mental response, dementia, headaches, hallucinations and neurological damage. A vitamin C deficiency results in a decrease in the immune response and low resistance to disease. When refined sugar is eaten, the pancreas responds by putting out a large amount of insulin, this insulin uses up the sugar and overshoots, causing you to become hypoglycemic. This has a similar affect as the B deficiency. If you were to take a memory course they would tell you not to take any sugar for 24hrs because it will have a profound affect on the memory. *Sugar is slow to digest so other foods eaten after will ferment in the stomach causing all sorts of other health issues. *Sugar is in everything we buy from the supermarket- cereals, tomato sauce, canned foods, frozen foods, packaged foods, condiments and dressings! No wonder obesity statistics are on the rise! *Sugar has been processed and refined and therefore is absolutely of no value to the body. So is raw or brown sugar any better? No. It just has some molasses added to it for colour. *Sugar being highly acidic causes the body to pull alkalizing minerals, such as calcium and phosphorus, from the bones to balance the pH level of the blood. This is why we have such a high rate of brittle bones among our young and old- it is directly related to the sugary foods and soft drinks that we westerners are consuming on a daily basis! I personally recommend Stevia or Raw honey as a superior natural sweetener. *ELIMINATE ARTIFICIAL SWEETENERS (EXICITOTOXINS) FROM YOUR DIET! Like refined sugar, artificial sweeteners seem to be present in almost every second product on the market, particularly those in the “diet” range, such as diet drinks, pastries, candy and even in so called health food products. Two of the most common, being NutraSweet and Aspartame, have had plenty of negative press now for some years, even though they have been FDA approved for over 1600 different products. Sugar free gums commonly use nutrasweet! These sweeteners contain Methanol, which studies have proven to cause blindness, convulsions, seizures and tumors, and as an excitotoxin, it is highly toxic to the nervous system. Why would we continue using products containing these dangerous substances, while placing not only our health, but the health of our children and family at risk? These flavour enhancers (the most common MSG 621) are found in most brands of potato chips, savoury biscuits, recipe bases and come hidden in many salad dressings too! Read bottom of the page to find out other MSG products. Ladies can you see why we must get back to the basics and start making our own real foods! and see the research he has done on this major problem with our processed foods today! I personally recommend Braggs Liquid Aminos for a great flavour substitute to use in dressings,soups and stirfrys. *ELIMINATE WHITE FLOUR FROM YOUR DIET! Infact eliminate all whites from your diet – white bread, white pasta and white rice. White flour has actually had all the fibre and nutrients removed during processing. Thats right, there’s nothing natural about white flour. The refining process removes the husk,the germ and bleaches the rest- leaving it not only null and void of nutrients but rather harmful to the body. Q. What do you get when you mix white flour and water?! A. A really great glue! It will not only clog up your system, contributing to constipation, but causes a toxic (acidic) build up and results in a physical breakdown of sorts. Packaged goods like cakes, cookies, muffins, biscuits, bread rolls/sticks and croutons, are not only made by white flour but have been cooked in trans fats/ oil, a double whammy! Health hint:Not all health bars are what they make out to be either, so be sure to read the labels! I personally recommend the use of gluten free flours such as Arrowroot,Quinoa, (Keenwa) Amaranth, Millet, or Buckwheat as a substitute for white/wholemeal wheat flour. *ELIMINATE CARBONATED SOFT DRINKS (YES EVEN ALCOHOL) FROM YOUR DIET! Consider this; soft drinks are one of the most acidic substances we can take into our bodies. PH 1.8-2.5 range! Neutral is 7.0 and blood should sit around 7.4. Along with caffeine, soft drink resembles battery acid in the body! It cannot be worth the taste, for the trouble it is wreaking in our amazing bodies! * ELIMINATE TRANSFATS FROM YOUR DIET! Those living in tropical populations who follow traditional diets high in coconut oil and coconut products enjoy overall good health. Back in the 1930's, a dentist named Dr. Weston Price traveled throughout the South Pacific, examining traditional diets and their effect on dental and overall health. He found that those eating diets high in coconut products were healthy and trim, despite the high fat concentration in their diet. Similarly, in 1981, researchers studied populations of two Polynesian atolls. Coconut was the chief source of caloric energy in both groups. The results, published in the American Journal of Clinical Nutrition, demonstrated that both populations exhibited positive vascular health. There was no evidence that the high saturated fat intake had a harmful effect in these populations. Coconut oil is finally beginning to get the respect it deserves as a smart alternative to other oils. The many benefits of coconut oil are finally reaching the mainstream. The unique health benefits of coconut oil are directly related to its chemical structure, or more precisely, the length of its fatty acid chains. Coconut oil is comprised of medium-chain fatty acids (MCFAs), also called medium-chain triglycerides or MCTs. Coconut oil is nature's richest source of these healthy MCFAs. By contrast, most common vegetable or seed oils are comprised of long chain fatty acids (LCFAs), also known as long-chain triglycerides or LCTs. The use of coconut oil is one of the smartest dietary measures you can make. The medium-chain fats in coconut oil are considered so nutritious that they have been used in baby formulas, and in hospitals to feed the critically ill, those on tube feeding, and those with digestive problems. Coconut oil is exceptionally helpful for pregnant women, nursing moms, the elderly, those concerned about digestive health, athletes (even weekend warriors), and those of you who just want to enhance your overall health. No guilt. No cholesterol. No trans-fats. No downside. Only your peace of mind. - Adding coconut oil to your pets' diet is the smartest thing you can do to enhance your pet's life! I personally use Organic Virgin Coconut oil or occasionally Extra virgin Cold pressed Olive oils for my dressings, and raw cake recipes. I believe every body would benefit from taking 2-3 tspns of Virgin Coconut oil a day -everyday. Click here for free downloadable E-Book on Coconut oil.